One of the more interesting hallmark features of the wholesale transformation to the biota of capital markets these past (roughly) 50 years as been the line of flight from any meaningful distinction between between debt and equity. Like Euclidean geometry, its not so much that the principle of its equivalence classes is so much always “wrong” as it is only sometimes right -of course, how the figure/asset behaves when moving from one to another place in space all depends on the structure to its space of motion. This trend -i.e of the regressive differentiation between debt and equity- was perhaps first best formally observed by Modigliani and Miller, but since then has been reformulated, both epistemologically (by BSM, etc.) and ontologically (convertible bonds, etc.) time and time again. Issues surrounding the resulting material obfuscation has most recently been reinvoked as a subset debate of the big debate over Dodd-Frank’s ostensible ban on banks’ ability to continue to trade their own capital. Burne and Tracy’s “Debt Bundles Unloaded Before Bank-Rule Shift” (WSJ, January 9th 2014) report that the $300 bn CLO market has been rumbling as of late in light of the issue of whether banks have to ‘divest themselves of their CLO notes’, precisely because its unclear whether such notes, whose values are tied to the value of of the portfolio of loans, are debt or equity? If the notes are equity, no, they cannot keep them on their balance sheet; but if they’re debt, then perhaps they may be held. The problem is, no one seems to know for sure: is it debt or is it equity? -the answer is likely “yes, it is”! The piece can be found here, but is probably less interesting than the aforementioned issue it raises. The New Year is often conceived as about new beginnings. Of course this is not so much “new” beginnings, per se, i.e. as in novel or “never actual until now”, but usually the recommencement of old beginnings, or at least the rebeginning of old commencements (which is not the same as the former). These in turn are often thought to involve some sort of abstract rededication to our present conception of our future selves. First, we must get more rigorous about our primary study of finance (er, we need to start jogging 6 miles now instead of slowing down after 5; or is it limit ourselves to 3 alcoholic beverages instead of 8?). For my part I’m going to try to stop using the word financialization, not because there’s anything in particular wrong about the word, and not that I object to others using it, but because of what the word tells me about my own too-general (viz. nonontological) mode of thinking when I’m using it. Its necessary to be (as D&G put it) rigorous and anexact -not unrigorous and general. The rigor, in my opinion, comes from ontological specificity plain and simple; and the anexact-ical quality implies topological invariants, singularities, and group-theoretic principles (which amount to the proper posing of problems) about symmetry, but implies nothing about -izations or -isms. These are hard to avoid en masse, but I’m going to try 6 miles, not 10, so I think I can go without using the term for a little while at least. We must get more technical about our ontology by returning to the question of epistemology (er, I want to get a big promotion; or is it make $5 mil instead of being satisfied with $4 mil?). This means returning once again to our “textbooks”. Its time to continue to think seriously about continuous recalibration (I’m going to begin my move by moving through, or rather with, Merton and Ayache). And why? In short, because structured finance -or rather its pooling (dedifferentiation) and tranching (redifferentiation) processes can be arranged to effect a natural leverage -that, if universally implemented, would/could effect a fully functional waterfall economy. And when you do a little arithmetic, you see that you could effect nomadic distribution through the infinite leveraging capacities of universalized tranches. Yes we will emphasize conditions far-from equilibrium (I have something I want to tell you about “what Benard cells tell us about finance”), and yes it all has to do with nonadditive causal processes in a nonlinear system, and yes…. But wait, lets back up, what is this arithmetic? A Waterfall Economy + a universal synthetic CDO = a fully-equitable (but not equal!) waterfall economy. Its simple! I’ll explain this in more depth in 2014. We should not let up on The Lives of Concepts of Finance (er, I need to do more situps, because I can’t do that many situps right now, and after all how can you ever start doing more situps if you don’t practice this by doing situps?). There’s other stuff as well, but let’s just stop here for a minute: Let’s recommence our old beginning by giving a life to a concept of finance. Click here for learning about the life of a credit default swap. It’s a concept. It will help us better understand Deleuze’s Guidebook, whose recommencement is also a New Year’s resolution; and later when we begin to elaborate how to build a non-orientable economic surface with structured finance (as part of our Infinite Leverage project, and necessary for understanding how to effect a fully-equitable Waterfall Economy). To effect the project objectives of Lozano’s version of speculative materialism, we’re required to perform a disciplinary integration. To perform this disciplinary integration, we’re required to master three literature sets and their respective fields of inquiry: (i) dynamical systems theory and the sciences of morphogenesis, non-Euclidean geometry, topology, and group theory; (ii) the work of Gilles Deleuze; and (iii) the technical discourse of finance –especially on the topics of credit derivatives, securitization, and synthetically-structured debt, and whose historical-materialist development effects the institutional differentiation of shadow banking out of traditional intermediation. When the philosopher sets his aperture to finance, he encounters a veritable pantheon of ontological profundities. The first result of this integration is discovery of an important isomorphism between the nonlinear dynamics of finance as a complex system, and the profound demonstration by dynamical systems theory of the ontological univocity characterizing complex behavior, writ large. Dynamical systems theory employs the analytical tools of topology, group theory, and natural studies on symmetry to study complex systems, therein revealing common characteristics among different classes of systems (e.g. biological, social, etc.). Speculative materialism, the study of the ontology of finance, under this approach discovers that finance is one such class of system, and from this discovery sets out to examine the singularities and affects endemic to its processes. This gives birth to a new methodology and research project whose topics to begin with include, but are not limited to: study of the topological invariants of varieties of financial assets (e.g. options, credit derivatives, securitized products, convertible bonds, synthetic ETFs); study of reversible and irreversible processes endemic to financial phenomena; study of the basins of attraction and nonlinear causes of financial crises; experimentation with the critical values and nonlinear dynamics involving far-from-equilibrium conditions; and ultimately the theoretic union of a macroeconomic and microeconomic discourse consistent with the principles of each. Topological and group-theoretic conceptual resources developed by both dynamical systems theory and Deleuze lend us powerful analytical capacities for sifting-out some structure to finance’s spaces of possibility –even amidst ostensibly stochastic phenomena. 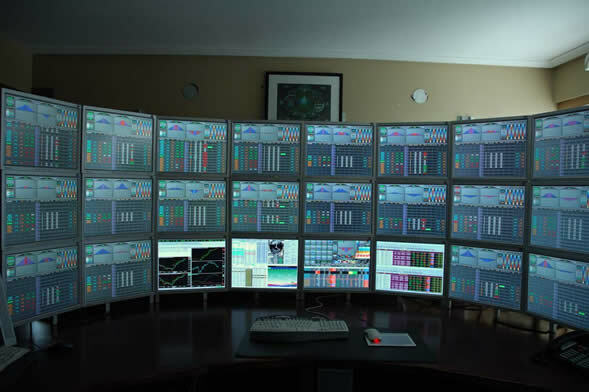 The study of the ontology of finance seeks to trace these logics, the logics of the virtual, back to where possibilities for finance set up their camp. Only then, as operators, can we begin tinkering with its divergent evolutionary capacities. The phases of Lozano’s research can be temporally divided between the present, a projected immediate-future, and a projected extended-future. Of Synthetic Finance is scheduled for publication in 2014. This book is the formal event that convokes into being the field of study of the ontology of finance. (i) That synthetic financial assets have a hyperfungibility and higher degree of symmetry than generic financial assets, e.g. traditional debt and equity. This includes an ontological examination of generic finance and synthetic finance to outline the topological invariants of the latter. (ii) That this means synthetic assets can not only “do” more things, plastically, effectively, and readily to create and distribute risk and cash flow, but that the universal distribution of risk and cash flow is organic to their technology. This includes an ontological exposition of credit derivatives and their securitized incarnation in synthetic CDOs; and an elaboration of the methodological resources Deleuze provides when in his philosophical treatment of dynamical systems theory, he illustrates the peculiar but profound material capacities of the synthetic. (iii) That given the advanced plasticity, hyperfungibility, and radical materiality of synthetic finance, we really have no idea what our financial technologies are actually capable of. This includes the development of Deleuze’s concept of ‘nomadic distribution’ to wager that the progressive differentiation of synthetic finance signals the contingent historical development of an untapped awesome capacity for the universal distribution of risk and cash flow in a way that makes all parties wealthier. Lozano’s 5 years of intensive research in the three aforementioned fields generated material for several topically-different books, but which still fall under the general project of speculative materialism: Infinite Leverage (2015); An Image without Likeness: A Nonlinear History of Finance (2016); Continuous Recalibration of Natural Leverage in a Universal Synthetic CDO (2017); and his magnum opus, Being & Finance (2018); followed by Promises of Utopia (2019). The following is an itemization of this projected future. For strategic purposes, Of Synthetic Finance (2014) deliberately pursues a nontechnical ontological exposition of synthetic finance when outlining the methodology of speculative materialism. By contrast, Infinite Leverage provides a more technical description of the isomorphism between topological transformations and synthetically-structured financial exchange. This involves an examination of the nonadditive material capacities of ‘natural leverage’ –labeled ‘mechanical advantage’ or sometimes ‘virtual work’ in physics– through the ‘pooling and tranching’ processes of structured finance. The space of structured financial exchange is what topologists classify as a nonorientable surface. This examination illustrates that in finance, as in other nonlinear systems, the introduction of a subtle or small stimulus at a specific time, for a definite duration, and at a critical value, can induce dramatic effects incommensurate with the amplitude of its causes. In this respect, the book also provides an outline of a theory of financial crisis: when an operator or sets of operators induce nonlinear conditions of far-from-equilibrium, the principle of superposition is supplanted by a new principle; this is the principle of nonadditivity. However, there’s a flip side to system instability: from the principle of the nonadditivity of nonlinear causes we derive Deleuze’s concept of ‘nomadic distribution’ –which does not entail a redistribution of economic objects in a pre-produced space, but now rather an ex nihilo distribution of economic space itself. When the principle of superposition breaks down, a high volume of natural leverage, if correctly channeled, can also activate a nomadic distribution of economic space itself. It is this potentially ex nihilo and ad infinitum capacity of leverage we must seek to tap. For this would realize the all-upside-promise of infinite leverage. This book is a history of synthetic finance, from the Ancient to Medieval to Modern and now contemporary world. It provides a nonlinear account of the historical differentiation of the class of exchange of synthetic finance (e.g. credit derivatives and synthetically-structured financial assets) from out of the class of exchange of generic finance (e.g. traditional debt and equity), and therein maps the phase transition from traditional intermediation (aka the “Jimmy Stewart” model of banking) to shadow banking. This book also draws on Felix Klein’s powerful group-theoretic method of arranging non-Euclidean transformations according to their geometric invariance requirements, in order to both outline a mathematically-intoned philosophy of the history of finance, and to illustrate that the differentiation of synthetic finance signals a progressive becoming-topological of the financial asset. This book advances a short, dense, technical argument that the technological fusion of, on the one hand, contemporary reworkings of the Black-Scholes-Merton options pricing model’s method of continuous recalibration, with on the other hand, the fungible risk and cash flow distributive technology of a synthetic CDO, can effect a dynamically-hedged universal distribution of risk and cash flow that makes all parties better-off. Lozano is currently in the inaugural stages of modelling this proposal (note: he also needs a mathematician, a financial engineer, an accountant, a behavioral economist, a (Laplanchian) psychoanalyst ((LPNNA) Lacanians please need not apply), and a game theorist). In actuality this book is a tax-policy proposal which, if tested, adopted, and found viable, would inaugurate a concrete speculative materialist economic program. At the very least, it’s a test model –whose experiment draws on scientific, philosophical, and psychological studies on altruism and egoism– to translate and synchronize several profound analytical contributions from financial engineering, social philosophy, behavioral psychology, and dynamical systems theory to build more robust (and hopefully accurate!) financial risk models, albeit now, and essentially so, with universal economic equitability as its aim. 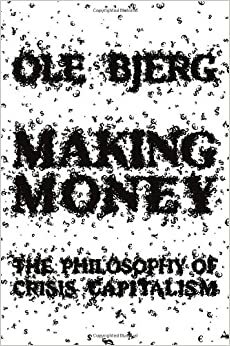 This book explicitly illustrates the becoming-topological or regressive differentiation of capital in its synthetic-systemic incarnation. It comprehensively exposits the complete philosophical synthesis of the combined insights of dynamical systems theory and the study of the ontology of finance. Starting next year (2014), Lozano will commence intensive research on the history and ideologies of utopias. He will then weave Nietzsche’s advocation for a politics of difference grounded in joy and affirmation into an itemized account of the promises of utopias. Drawing on his technical understanding of synthetic finance, Lozano proposes a project for radically reengineering synthetic financial technologies for universal equitability –or in a word, to realize the promises of utopia. …But wait a minute, Lozano’s only one guy. What else will speculative materialism have been 5 years from now? *Thanks to Jon Rafman for the featured image in this post. There is at last no longer any serious pretense that our financial world is capable of monogamous symbolization by the stable period motions of economic equilibrium models, whose analytic analog derives from classical mechanics. It is now conceived as a world of instabilities, intrinsic and extrinsic, if such distinction still holds; deterministic and simultaneously by chance; perpetual fluctuations; permeated through and through with ambiguous anxieties; overdetermined by noise, perturbations, and pathological deviations; but which in turn -we must not overlook- is responsible for rich varieties of fungible properties, forms of assets, and a mobile horizon of institutional structures constantly coming into and out of existence. Do we really understand what all they can do? New conceptual tools are needed to think finance, to think between and through and along with its being, its logic, its ontology, viz. its logic of being. Speculative materialism is a forum for the study of the materialism and ontology of finance, and so is a site for exploring methods capable of examining its complexity -at the level of economic properties, assets, the markets they populate, and the subsystems comprising the rhizomatic systems of exchange we call ‘finance’. (i) The first is studies on nonequilibrium -and in particular the peculiar material properties and processes exhibited by far-from-equilibrium conditions (note: when Lozano openly imagines a continuously-recalibrated universal synthetic CDO that nomadically distributes economic space by manner of the ‘infinite leverage’ production-capacities of structured financial technologies, he’s advocating experimentation with operations of far-from-equilibrium -which is why he likes to say: “hey look, I might be wrong, in fact I probably am wrong; but if I’m wrong than I’m wrong for the right reasons.” (ed. note: he’s obviously a bit of a jerk)). (ii) The second is modern dynamical systems theory -and in particular its investigations of the amplifications of the effects of profound changes to a system from small or slight modifications of initial conditions and/or nonlinear causes. Lozano believes that when a heterodox political economist successfully scavenges the conceptual resources from these methods, at the very least the result will be a more thorough understanding of our object of analysis -i.e. the ontology and the deep material capacities of finance. And at the very more? -this is for another post. Wherever we look in finance today we observe divergent evolution, along with a precarious fleeting set of moments of stability amongst a flux of deviations from equilibrium. The ontological consistency of the world of financial objects is a truly pluralistic world, wherein we find acute determinism (e.g. the prices of bonds and their yields always move inversely) alongside or even within stochastic phenomena (e.g. price series of bonds), and reversible processes (e.g. any given exchange) that give rise by degrees to qualitatively irreversible changes in kind (e.g. a series of exchanges progressively gives rise to new markets and institutions, whose differentiation is irreversible, i.e. its actuality only moves one way). In some respects perhaps this is no surprise. Many complex systems are marked by this elusive dynamic; moreover, this elusive dynamic even cuts across complex systems themselves. Physicists explain that already the motions of a ‘simple’ frictionless pendulum are wholly reversible, that the pendulum’s past and future can move in either direction of the arrow of time, and that each is equally as capable of playing the same role in the equations describing its dynamics: this truth is absolute. But it is just as much the case that biological evolution, chemical reactions, and diffusion processes -are these not equally absolute, albeit now in their very irreversibility? Let us then consider. In the (neo)classical political economic paradigm, the political economist is an investigator who is thought to be exogenous to the forces of the system which she observes. She is capable of calculating, rationally, independently, and making autonomous decisions about the phenomena presented to her in the course of her studies therein. Contrarily, it is the system itself that is subject to deterministic laws, while the political economist is the decider, awesome and free. It is the system -even if and when comprised of individuals- who is stupid, pathological, inert, an undead-dead matter that conforms to a predetermined plan. Today, however, already in behavioral finance’s opening salvo, and now in sociological applications of science and technology studies to finance, we are getting progressively further from this aforementioned applied-Cartesian conception of the subject. Not only in the human sciences and even physics, but afortiori in finance and economics as well, we are now expected as subjects, spectators, subjects of the spectacle, but also as actors and activists as well. No longer then, too, must the domain of exchange we call finance necessarily imply a predetermined future predicated on a perpetual present. Rather, our world is rife and open with possibility, for we perpetually inhabit and cohabit the construction of a time and space of which we are active participants. This is one conviction of a speculative materialist. This is one wager as we we proceed to examine the materialism and ontology of finance. This is also why we seek to move beyond critique and off to engineering. But if engineering truly is the benevolent fusion of art and science, of creative aesthetics fused onto physical laws, we must begin with step one -which is a clarification of method -and then commence the process of tinkering with matter. Can exchange cause change? If Deleuze’s thesis on difference and repetition applies to economic transactions, we have reason to believe it can. But how? Is not to ask whether exchange can cause change another way of asking whether the repetition of an object into its image of value as money can produce difference, true difference, meaningful difference, a repetition that causes a new change in kind? At first glance perhaps it’s not so evident that exchange can cause change. But let us consider this. i. 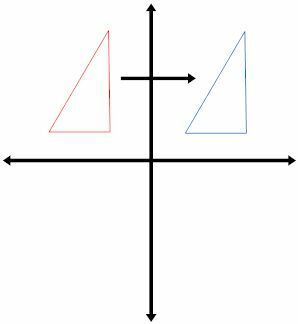 One of the most, if not the most ontologically basic questions asked in mathematics is whether two given mathematical objects are the same? In the geometer’s hands, the matter of difference in repetition in relation to the question of change is transmuted, indeed elevated, to the status of the crucial question of all mathematics. Badiou says mathematics is ontology, but this is wrong. Ontology is ontology. Ontology is the study of Being. Being is univocal. Being’s univocity articulates itself in a diffuse set of registers. And mathematics and finance are two such registers –which renders them neither metaphorical nor analogical nor pure; rather, each register is a derivative subset isomorphic to the other; but neither register resembles each other in actuality. …we see that a general repetition of the object has occurred. The question is: given that O is now O’, has change occurred? On the one hand, let us not overthink this question: Is O the same as O’, or are O and O’ different? –and if so, in what respect? On the other hand, let us not underthink the questions contained inside this question: What do we mean by “the same”? What do we mean by “different”? What do we mean by “change”? …and the number “18” –that these two things are the “same”. Is it possible that it is more than ironic that this equivalence relation persists in the economist’s conception of classical exchange? If 1lb. of coffee is exchangeable for the price of $5, when that object, the 1lb. of coffee, is transformed into its image of value as money, to say that these two expressions are “equal”, this means that the expression 1lb. of coffee and the amount of $5 –they are “the same”. …are “equal”. Even though they are housed in and as two different incarnations, they are said to be the same. And the reason why is that one can move, or more correctly put, ‘transform’ one expression into the other, i.e. one can treat and repeat one expression as the other, while yet no change has occurred. So too if 1lb. of coffee is worth $5, and 2lbs. of tea is worth $5, even though the two objects are different incarnations, they are regarded as the same. One can transform one expression of $5 into the other, and one can repeat the one expression “coffee” for the other expression “tea”, while yet once again we see no change has occurred. In classical exchange, then, which involves the immediate settlement of physical objects for their images of value as money, we see that exchange does not cause change. We have said before that classical exchange is to generic finance in exchange what congruence is to similarity in geometric transformations, and with a little reflection on this one can easily see why (also please see the Appendix to Of Synthetic Finance for more on this). Neither congruence nor similarity allow for much change to occur. Different geometric objects may move to and fro, and back and forth, as if they were strung up and running along parallel lines. If they remind you of Cartesian coordinates, this will come as no surprise, for they are numerical multiplicities par excellence. Yes, classical objects and generic financial objects move –of course they move –in space and time. But their motions in this ambient Euclidean space always entail an invariant change, an empty form of difference, a variation that produces no true variation at all. Any and all difference therefore comprises an indifference to difference, a non-differentiation, a generality, a repetition of the same. Conversely, in Euclidean space, if one object does not repeat itself congruently, or similarly –e.g. 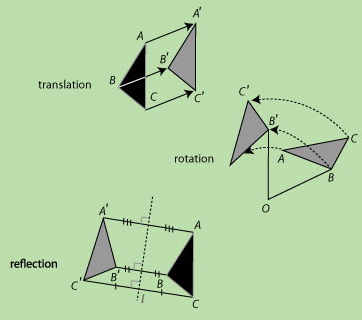 if its angles, its shape, and so on, are not the same – when it is transformed into its image, the Euclidean geometer will say that there are two objects that are different, i.e. a change has occurred, and that these two objects do not belong to the same equivalence class of exchange. There is between them no symmetry. There is a difference. ii. This, of course, is not the end of the matter, for with the Euclidean geometer we cannot agree. 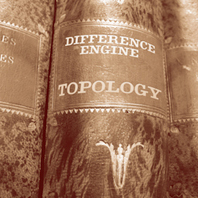 Topology has a much more progressive set of criteria for what constitutes difference; for this reason it has a much more relaxed set of invariance requirements on the object transformed into its image. Topology is often much less impressed –dispositionally– by claims made by Euclidean geometric transformations, these self-congratulatory assertions by the Euclidean geometer that an object which does not repeat into its congruent or similar image realizes difference. Topology illustrates that where there is often an alleged, actualized, and apparent difference, there is, in truth, only generality and equivalence. In topology, a square can be stretched into a cylinder, or an annulus. In topology, a square can be stretched and then bent into a torus. Such objects can be transformed into one another. For the topologist, when this actual transformation happens, no material change is thought to have occurred. There is yes, some difference to the object’s repetition: but once again, it is of the order of generality, it is an invariant form of variation, an empty form of difference, which is to say that no real change has occurred. To be clear, in topology, if one object can be continuously transformed into another, these objects are considered to be the same. And the symmetrical transformation of an object into its image need not be congruent, and it need not be similar. Bending, twisting, turning, squashing, or stretching the shape of an object does not comprise change, for it does not change the object’s topology, it does not change its topological invariants, no true difference is caused by this transformation. By contrast, puncturing, cutting, and gluing does (or at least can) change the object in kind. ….we see that each individuated polyhedral may phenomenally appear quite different than, for example, a sphere; and in actuality they are; but that the nonnactualized, but very real structure of what is possible for them to become in actuality is in fact the same: the three polyhedra immediately to the right of the sphere are not actually a sphere, but they could easily be continuously deformed into a sphere. Their extensive properties are what they are in actuality; but their intensive properties, while not actual, are every bit as real. Conversely, we see that other polyhedra will also phenomenally appear to be quite different than a sphere; and once again in actuality they are. However, it is also true that in this second instance, an ontological examination of their topological invariants reveals the incorporeal existence of an even deeper structure than merely their intensive properties –a nonactualized, nonprobabilistic structure– to what is possible for them to become. The topologist devises methods by which to examine the ontology of these objects, which in turn allow her to study these objects’ topological invariants. And if the topologist, in the course of her ontological examination of their topological invariants, finds that the invariants are different, in turn such objects are considered qualitatively different in kind. Already in this rudimentary inaugural consideration of the first elements of topology, we see that the topologist requires an additional register of reality. 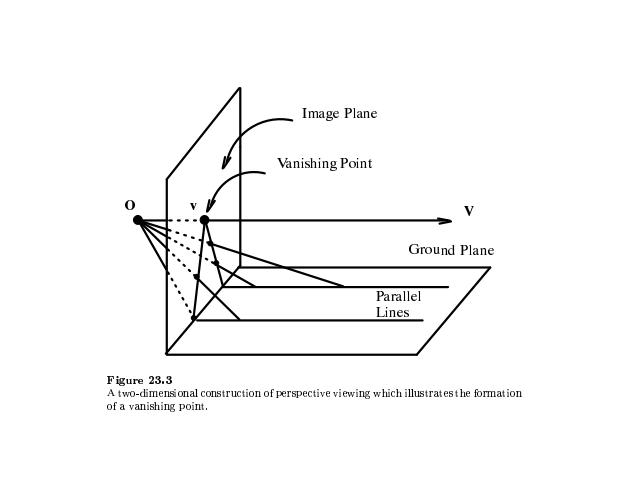 It is not enough to merely defer to geometric objects’ (a) ‘actuality’, i.e. that which, with their veritable extrinsic properties, they “are” as actualized objects; and their (b) ‘potentiality’, i.e. that which is possible for the objects to become in actuality, and as such, is subject to a probability distribution. She is in need another concept here, for when considering the topological invariants used to categorize geometric objects, she’s already (like Tartini in the Devil’s Trill) tapping another register of reality –something that adheres not to the object’s actual properties, not to their extensive properties, but which more fundamentally comprises the structure to what is possible for their extensive properties to become. And this is neither actual nor potential, nor strictly speaking “in them”, as such. Rather it is an incorporeal structure, another register altogether, that supervenes on the other two registers. The topologist is making recourse to, without naming, the technical concept invoked Deleuze to elaborate this register: it is the register of the virtual. iii. If, in the course of its repetition from one to another place in space, a geometric figure can be deformed into another geometric figure in 3-dimensional space –and is then ostensibly different in its repetition– the topologist will say ‘these two figures have the same extrinsic topology’. In using this term ‘extrinsic’, the topologist is delineating for us two distinct ontological categories. The first is isotopy; the second is homeomorphism. If two objects have the same extrinsic topology, they are called isotopic –topically, extrinsically, apparently, they are actually different and yet potentially the same. For example, the four polyhedra in Figure 1.5 share the same extrinsic topology: they are isotopic. They need not be actually at that moment the same as each other -but they are for the topologist the same as each other, insofar as a simply bending or twisting or squashing or stretching is all that is required to transform the one into the other with yet any change to its topological invariants having occurred. However, a deeper and more ontologically-fundamental dimension of a geometric figure’s reality is available to thought. For the topologist, two given objects may not appear to be the same, i.e. are not even extrinsically the same, but nonetheless are regarded as the same if they have the same ‘intrinsic topology’. “Do not trust phenomenal appearances!”, the topologist warns. “Don’t put too much stake in the fleeting, temporal shape of a geometric figure!”, the topologist exclaims, running with her lantern clasped tightly in hand, and out into the marketplace. “These extrinsic objects that you see as fixed, these too are actualized incarnations, contingent states of a deeper materiality!”, she urges. “Don’t mistake the immanent for the transcendent!”, she says. Will the political economist listen to her? What does the topologist mean? To better illustrate this –and especially to illustrate the ontological isomorphism between topology and finance in relation to the virtual, as well as the consequences of the univocity of Being for the speculative materialist political economist– let us take this a step further. It is the case that cutting and gluing very well can and may effect change to a geometric figure. It is possible that cutting and gluing may change the topology of an object. But it is also true that this is not always necessarily the case. 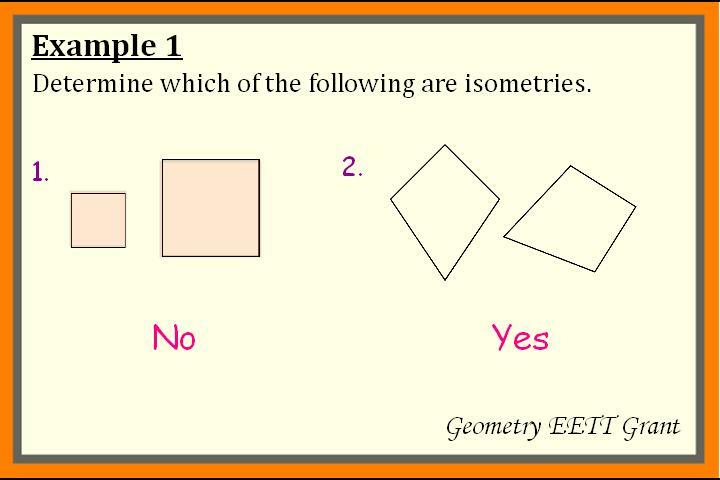 For example, Richeson points out that if we cut a shape, but then glue ‘the severed pieces so that the cuts line up exactly as they did before’, in this case no change has occurred, for the geometric figure’s topology has not changed. This is the case with the knotted torus in Figure 1.6. Here if we cut the tube of a torus in half, we have created a cylinder. If we stretch out the cylinder, but then reglue the cylinder in the manner illustrated in Figure 1.6, i.e. as a knot, the resulting shape is still topologically the same as that of the original torus. It is true that the two objects –O and O’– are not isotopic, i.e. they are not extrinsically the same; for the knotted torus cannot actually be obtained, or derived, from the original torus through its deformation in 3-dimensional space. The intrinsic topology of the two tori are the same, their extrinsic topology is not. Therefore, again for the topologist no change has occurred. There is no difference that has been made. How then can we know whether in a given transformation a true change has occurred? How do we know difference when and where it occurs? In short, what is different and what is the same? Mobius, who was one of the founders of topology, named such a relation a homeomorphism. iv. So herein lies our first speculative materialist concern with topology: we wish to know more about the homeomorphisms that supervene on extrinsically different financial assets? For this reason we must turn more directly to finance to address this question. For example, when Modigliani and Miller observe the occurrence of a nondifferentiation between debt and equity for the capital structure of a firm, is this observation predicated on the assumption of a fundamental homeomorphism between debt and equity -that, yes, extrinsically and in actuality debt and equity are different, but intrinsically they are the same? When Black-Scholes-Merton provide a formula (which we know is ‘wrong’, but for this reason is inverted and still functionally-used) that allows for continuous zero-beta hedging with a combination of partial objects (options) and whole objects (treasuries), i.e. which are extrinsically different, is not their silent premise that the economic properties of a variety of financial objects can be continuously arranged so as to achieve absolute nondifferentiation at every tick, i.e. that ostensibly different objects’ economic properties can be cut and then glued, divided and reattached in a variety of manners so as to always achieve a homeomorphism between assets and liabilities –which is, of course, when incessantly plugged into BSM, is supposed to perpetually realize the promise of a zero-beta portfolio? And when today, after implied volatility (which is a cold slap in the face to performativity), Ayache gives Deleuzian PED’s to the BSM athlete, who then dynamically replicates at every tick, to what great topological feat do we bear witness? -The answer is, namely, that when differentiation gives you a glimpse of itself, right away the market maker must move to dedifferentiate. If partial objects can be used to continuously recalibrate, it is because of the increasing plasticity of certain financial assets; it is because certain financial assets have now acquired an augmented pliability, a hyperfungibility, an increased symmetry, i.e. their properties are isolable, they can be stretched and bent and squashed and torqued. Some financial assets are, in a word, isotopic, and some are homeomorphic. Now, then, we wish to know (a) which financial objects are extrinsically the same, which are intrinsically the same and (b) what, if anything, this increasing regressive differentiation of financial assets means for the historical-materialist trajectory of finance as a dynamical system, as a set of classes of exchange, as a series of markets, as well as the progressive differentiation of the objects populating them? Indeed, it does seem that the whole edifice of modern finance is greatly illuminated when refracted through the ontology of topology. It for this reason that in Part II we will examine financial exchange under its light. David Richeson, Euler’s Gem (pg. 173). All mathematical examples are drawn from Richeson. Euler’s Gem. 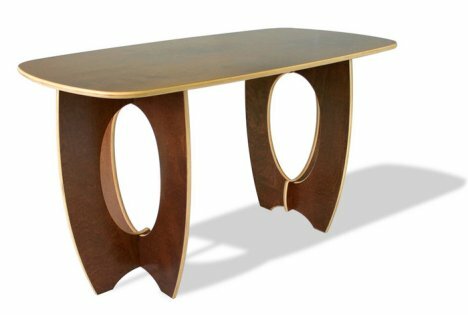 All subsequent figures are drawn from Richeson. This week SpecMat is commencing a series of posts, which will fall under the rubric “Can Exchange Cause Change?”, to supplement our reading of Difference & Repetition as heterodox political economy (Deleuze’s Guidebook to Synthetic Finance). Its general aim will be to examine the ontological homologies between topology and finance. However, in the course of our thinking and research for these posts, we were listening to William Bolcom (Graceful Ghost Rag is my desert island song), then Jeff the Brotherhood, and then finally Tartini’s Devil’s Trill. Why do I say this? –perhaps I should let Tartini tell you. Tartini tells us of his peculiar dream. Tartini relays that he dreamt he’d contracted with Devil, who’d now taken up residence at Tartini’s house as his servant. Smitten with the Devil’s diligence in his duties, Tartini lends the Devil his violin, who, Tartini implies, had never played before, but proved to be –as one can imagine– a very quick study: he played masterfully. This was all very surprising to Tartini, but proved unremarkable when compared to the profound beauty ‘of art and intelligence’ flowing forth from out of the Devil’s inaugural composition (in Tartini’s words: ‘ I felt enraptured, transported, enchanted’). Tartini suddenly awakens from his dream. 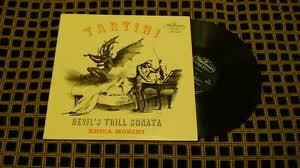 Tartini leaps out of bed, and rushes over to his violin, in order that he might capture the Devil’s sonata before its non-extrinsic impression vanishes into the daylight. Tartini composes and composes. Tartini rests. Tartini composes and composes, and then rests some more. Tartini starts over. Then over once again. He repeats his attempts at capture again –but each time always in vain; the singularity of the Devil’s Trill eludes him. This goes on for several days, weeks, months, and finally years. Each composition by Tartini –actualized, extrinsic, concrete, and in its own right –is slightly different than the last, each will have been slightly different than the next; each individuated composition is marked by its own specificity in the actual, but always tied by birthright to a silent structure, that nonphenomenal but very real deep structure which is neither actual, i.e. not subject to the globality of demands made by the actual on its objects, nor is it potential, i.e. it is not subject to a probability distribution. Each of Tartini’s individuated versions of the Devil’s Trill is, of course, actual; and each, of course, will have been subject to a potentiality, which gets refracted through itself and then dumped out into actuality. But this singular sonata composed by the Devil –what is its ontological status if it is neither actual nor potential? There must be some register of reality, some name, some term for this register by which we can refer to its singularity, its reality as an incorporeal effect of the material processes of Tartini’s dream. The term we give to the Devil’s singular sonata is ‘the virtual’. In “Can Exchange Cause Change?” we will observe that and how topology also concerns itself with the virtual. 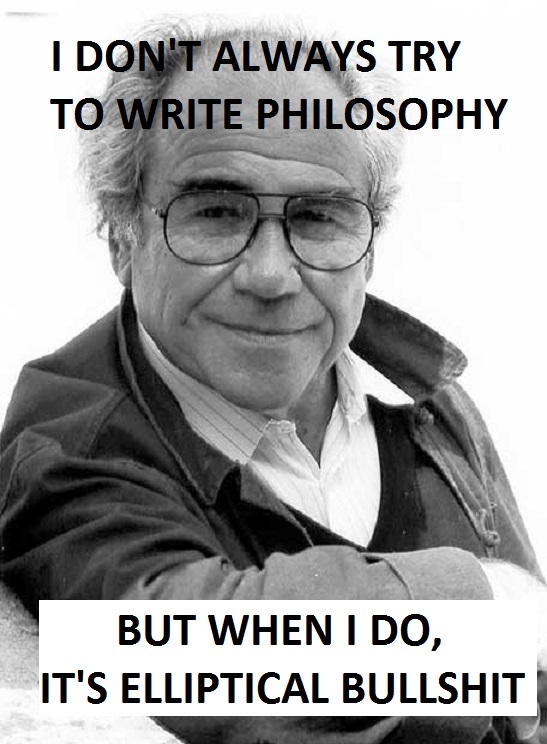 So too obviously does Deleuze. But does finance? And if so, how do we go about thinking, talking about, and analyzing it? Thanks to the folks at Socializing Finance for bringing our attention to the recent BBC documentary, A Dark Magic, on the rise of algorithmic trading. Synthetic finance brings us to this space and time. This may take some time to illustrate, and the meaning of the illustration will take even longer, so if you have some time, keep checking in to this space. You can also read Of Synthetic Finance for starters. 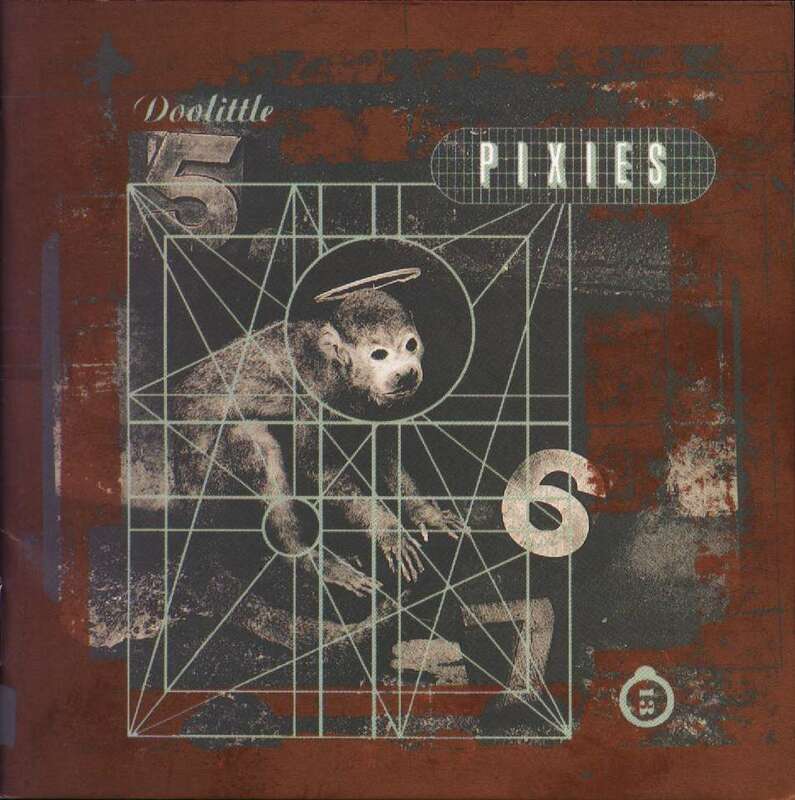 The first time, and then even the second and third time I heard The Pixies Doolittle, I was fairly sure I didn’t like it -I actually was quite certain that I didn’t like it, but I couldn’t actually explain why. I simply knew that the sounds didn’t appeal to my preexisting aesthetic sensibility. But as it played over again for the fourth time, and then a fifth, and then I began to really listen to it, I incrementally became aware that the album was progressively creating a taste for a kind of music I had previously yet to have -but thenceforth, and from the moment I had this thought, the realization began to develop in me that Doolittle was now in fact my favorite album, and that I was therefore no longer the person I had been before (that is, before, when I had heard it, but when I had not yet listened to it). Who was this person who had disliked the sounds on this album? Who had heard but refused to listen? To understand? How could I have actually felt this way? This rupture, this opening up, this spread in the self is an instance par excellence of the experience of an image set free of its object. This is the copy of a model that overturns any grounds on which such a distinction could stand. This is the monstrous power of the synthetic. It is the work of a concrete speculation from without appealing to the fungible materialism within. Speculative materialism has gone public as of today. Dear reader, allow it to work on you in this way. Sign up now to contribute to the Lives of Concepts of Finance project.